As Hurricane Florence has battered parts of the southeast coast of the U.S., officials across multiple states have reported damage to their communities and ongoing dangers they face. “Our city has suffered obviously one of the most devastating storms in its 308 year history,” New Bern, N.C. city manager Mark Stephens said at a Sept. 17 news conference, according to ABC News. “As you can expect this is a significant setback at the hands of Mother Nature, but we will prevail.” Over 4,300 homes in New Bern were damaged or destroyed, ABC reports. Florence hit the coastal city of Wilmington, N.C., so hard that getting in and out of the city is essentially impossible, The Washington Post reports. The city’s port will remain closed until Sept. 19. Rain has fallen constantly for days, rivers are rising and more flooding is expected. However, the hurricane itself wasn’t the only threat that faced several local governments across these states. For Conway, S.C., some concern was due to state actions to curb flood damage. On Sunday, the South Carolina Department of Transportation (SCDOT) hauled large amounts of dirt to a part of U.S. 378 where crews used it to set up flood barriers, according to Myrtle Beach, S.C., TV station WPDE. SCDOT stated that Florence’s flooding would “overtop” bridges if the pair of barriers weren’t constructed. However, after Conway City Administrator Adam Emrick asked if the barriers would impact flooding that the barriers might cause, SCDOT responded that the barriers were being installed without much data on potential further flooding they might cause, according to WPDE. “That’s an unacceptable solution,” Emrick told the station. The Conway City Council later voted to file an injunction against SCDOT and Horry County, S.C., to prohibit the barriers’ construction until sufficient data would be provided to show that they wouldn’t contribute more flooding to the Conway area, according to WPDE. In Norfolk, Va., residents reported people in fluorescent vests going door-to-door to certain residences and trying to force people to evacuate their homes, according to The Virginian-Pilot. The residences were in a zone under a state-issued mandatory evacuation, but city would never force people to leave. “That’s absolutely a personal decision,” City Spokeswoman Lori Crouch told the newspaper. No specific information is available on who the people are or what their motives are. 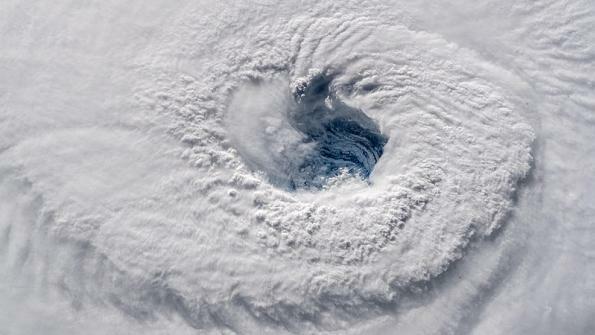 In North Carolina 10 people have died, over 900 have been rescued, 15,000 are in shelters and over 700,000 are without power as of Sept. 16, the Citizen Times reports, Almost 200 primary roads in the state are shut down.